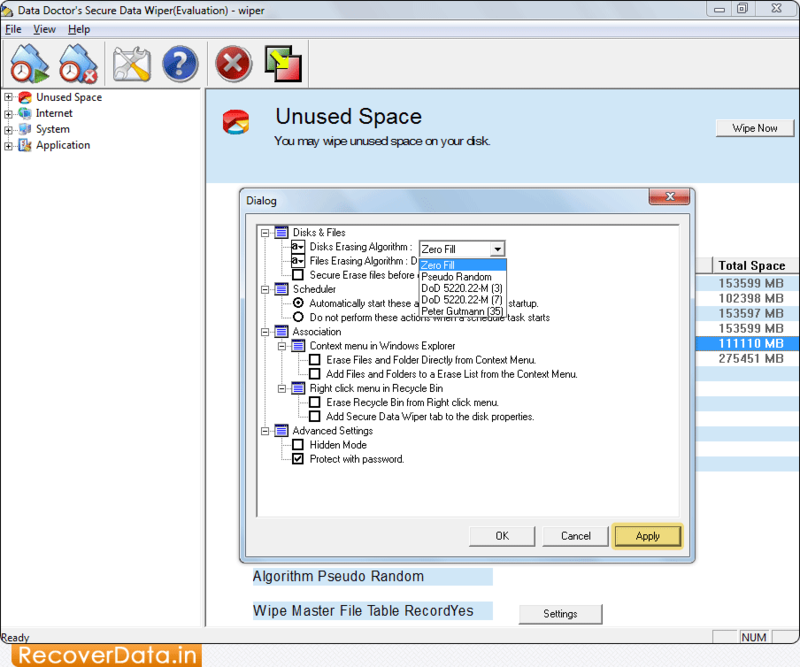 Click 'Wipe Now' button to remove unused space on disk. 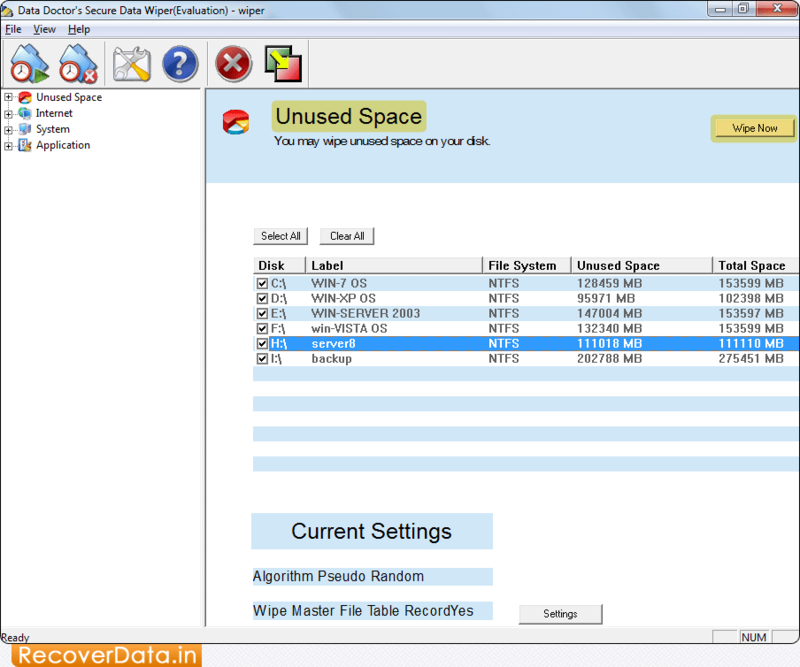 Now, set "Disks Erasing Algorithm" and then click 'Apply' button. 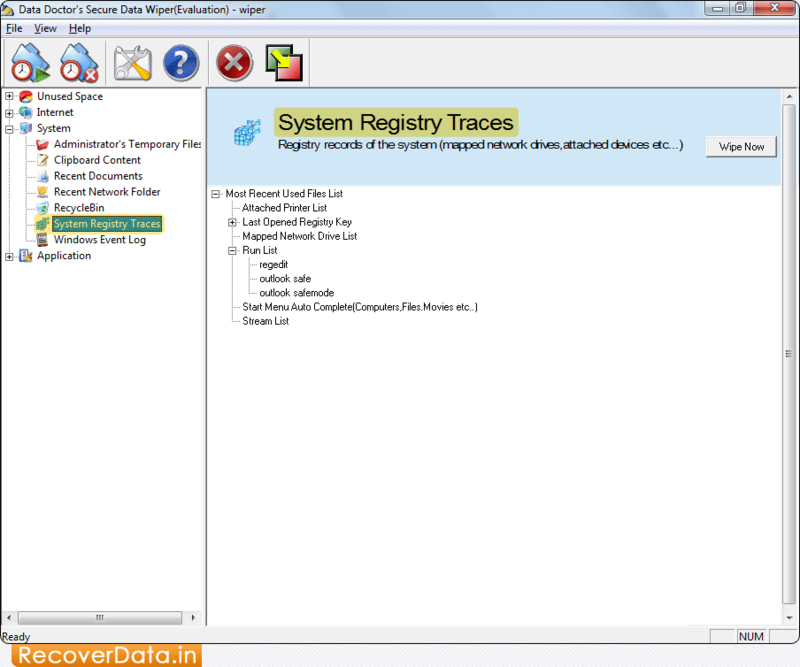 Select 'System Registry Traces' from left panel for data wiping process. 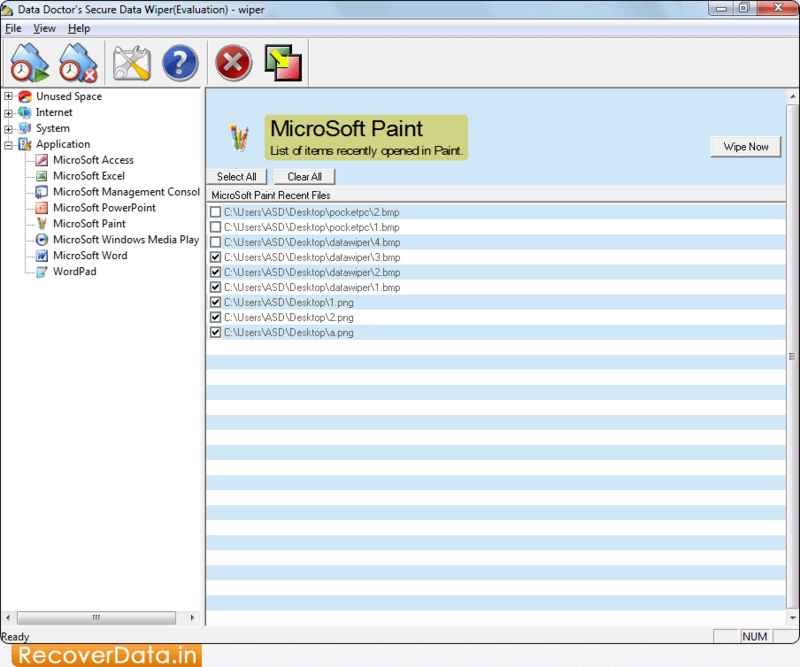 In 'Application' option, you can choose any one application among MS Access, MS Excel, MS Paint, etc for data wiping.